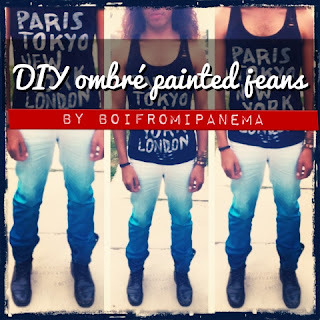 Los Angeles fashion blogger, BoiFromIpanema has a really cool video tutorial on ombré dying a pair of jeans. He visited our iLovetoCreate studios this past summer and learned all about the process of ombré dyeing. Here he shows step-by-step how to find the median point AND how using black dye on the edges can help finish the look.